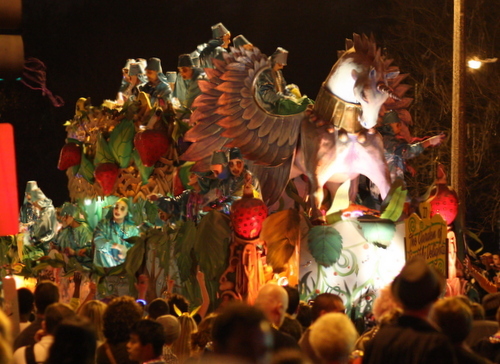 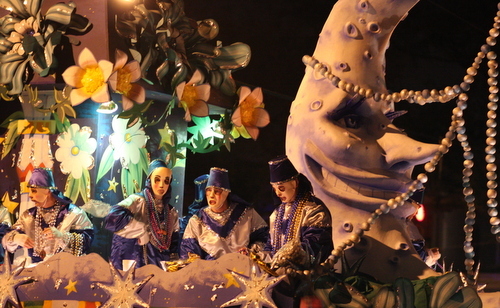 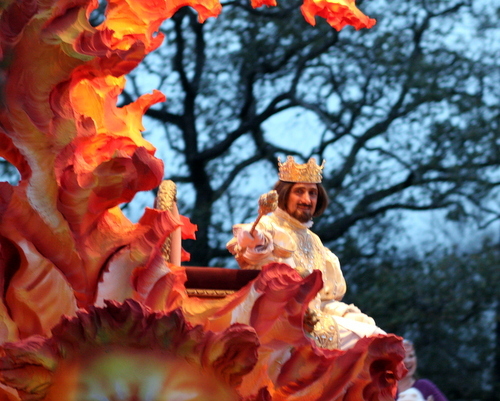 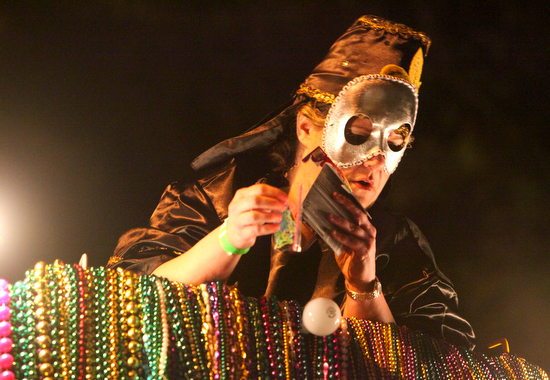 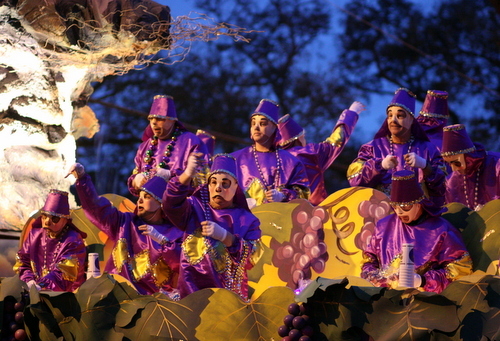 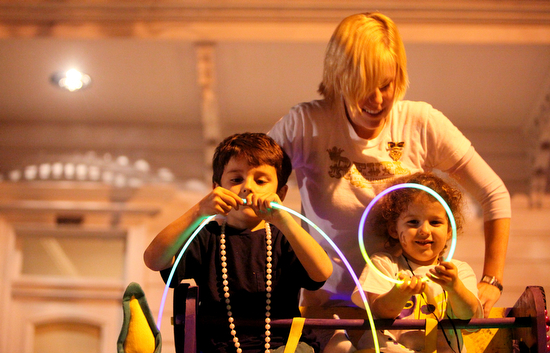 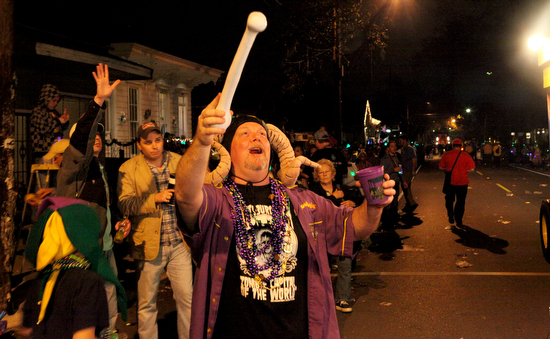 The Krewe of Hermes, Le Krewe d’Etat and the Krewe of Morpheus took Persian poetry, song-based satire and Louisiana’s best features for their themes as they rolled on the Uptown route Friday. 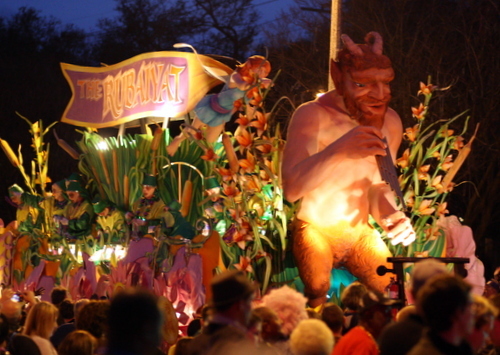 Hermes’ theme was “Rubaiyat,” drawing float titles from a 1,000-year-old collection of Persian poetry. 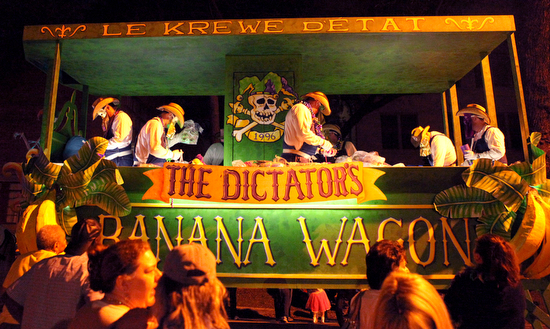 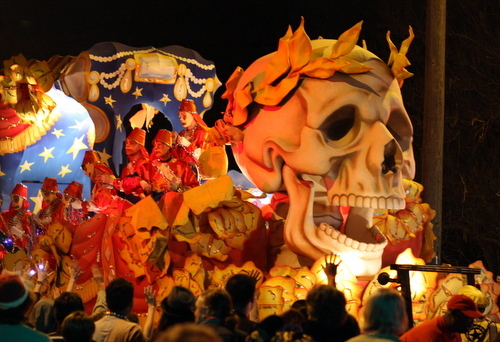 Le Krewe d’Etat chose “d’Etat Tells It Like It Is,” combining New Orleans songs with current events for a series of biting, larger-than-life jokes. 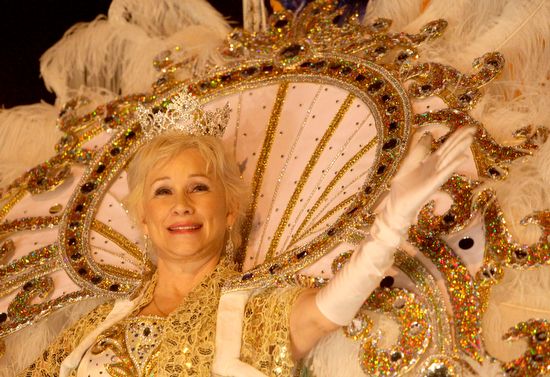 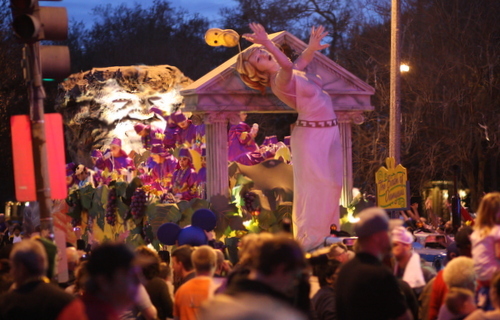 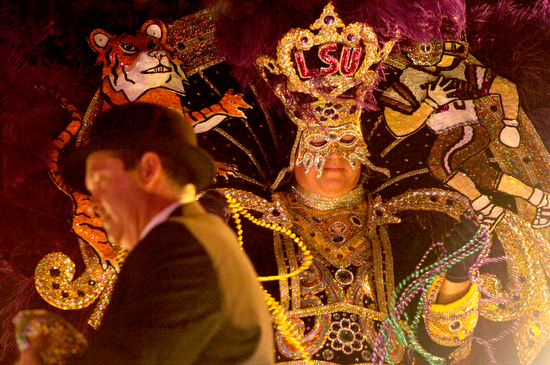 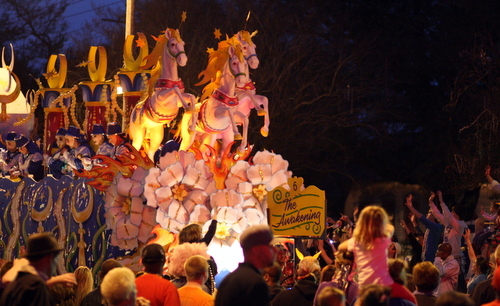 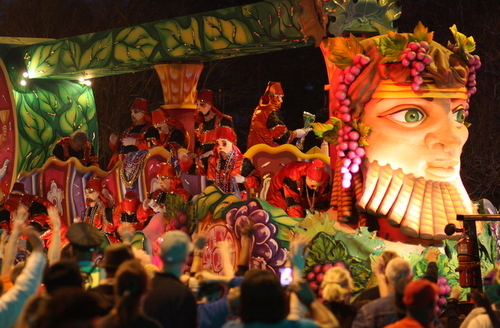 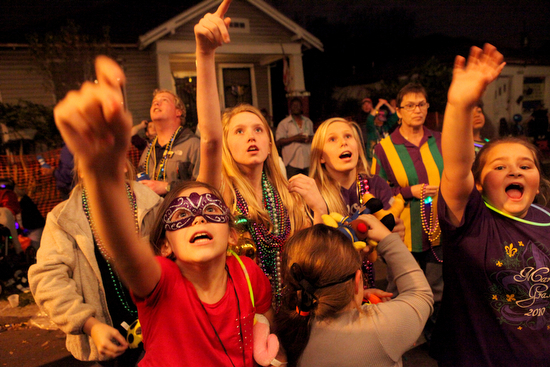 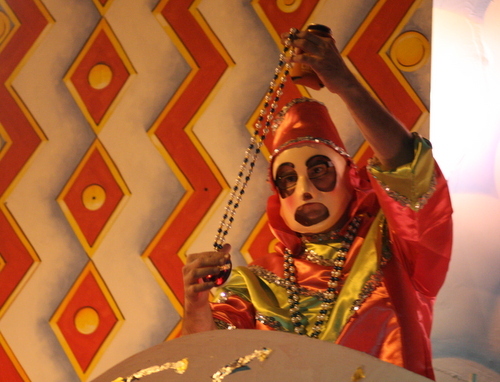 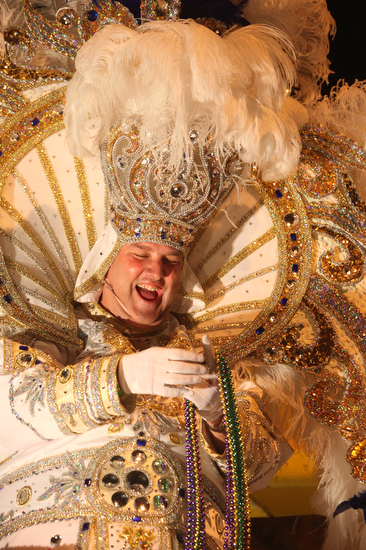 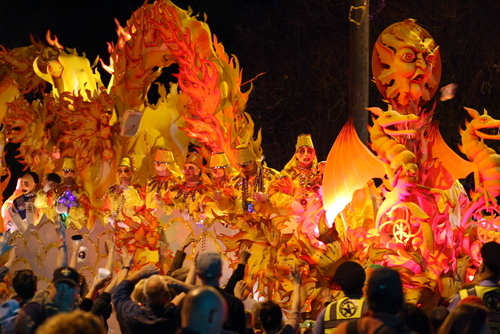 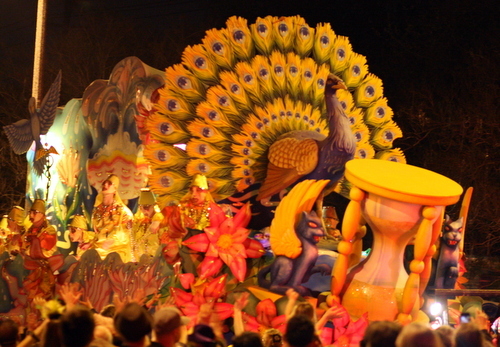 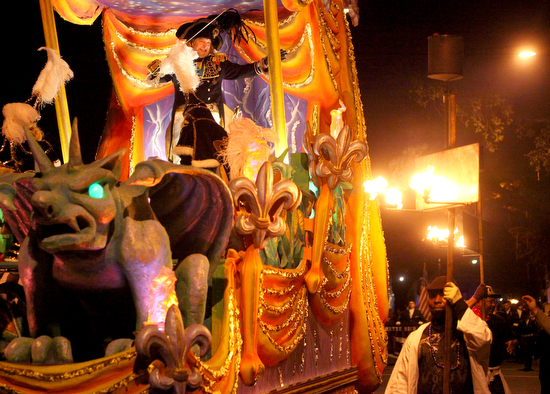 The theme of Morpheus was more traditional, “Louisiana Treasures,” and featured the Saints, Audubon Zoo and other topics close to locals’ hearts. 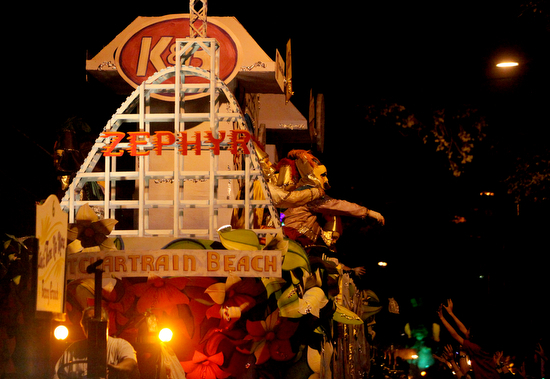 Follow the action from the route via our live coverage from Twitter below, collected via the hashtags #Hermes, #dEtat and #Morpheus. 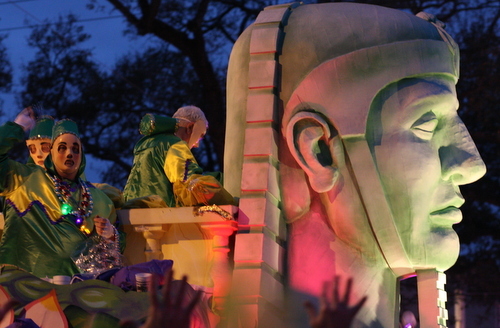 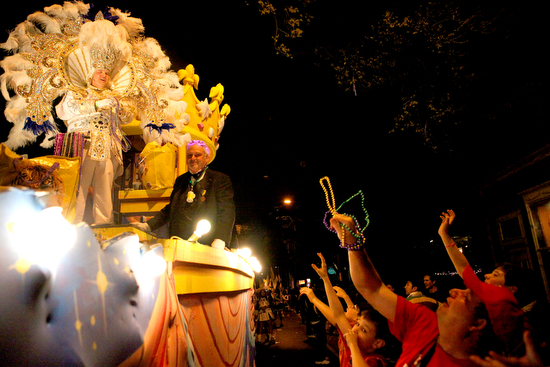 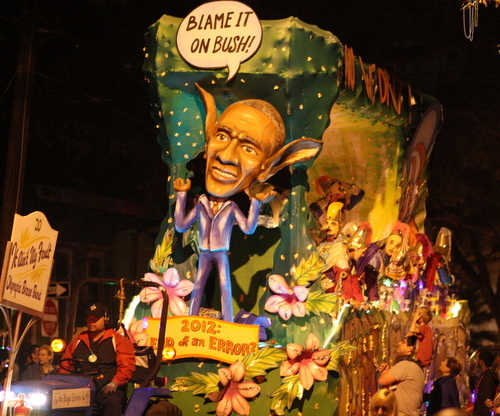 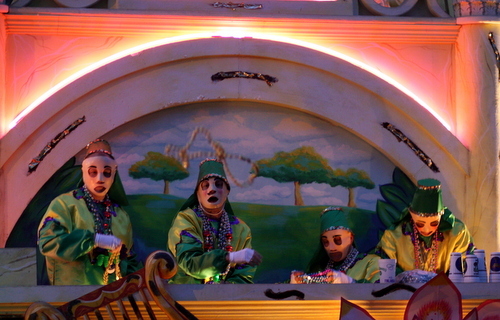 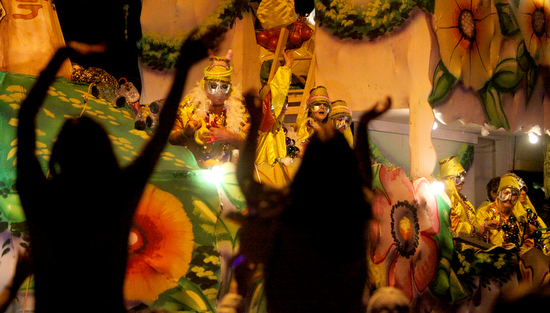 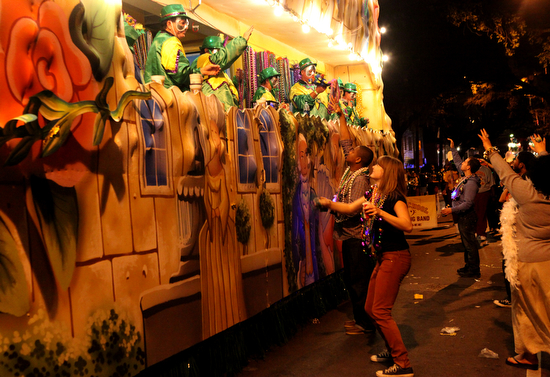 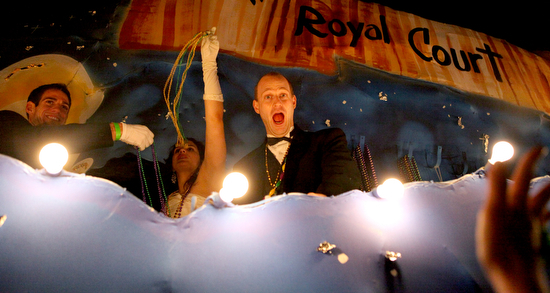 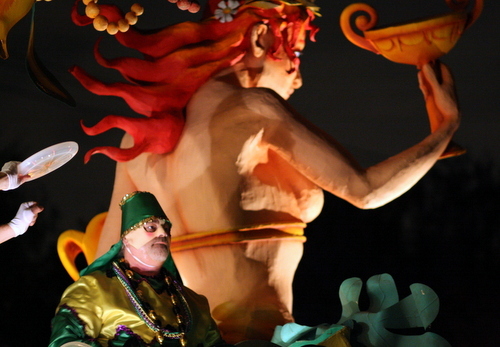 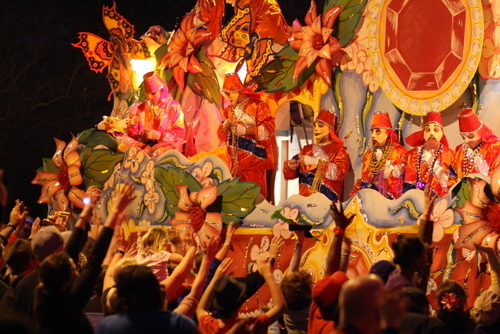 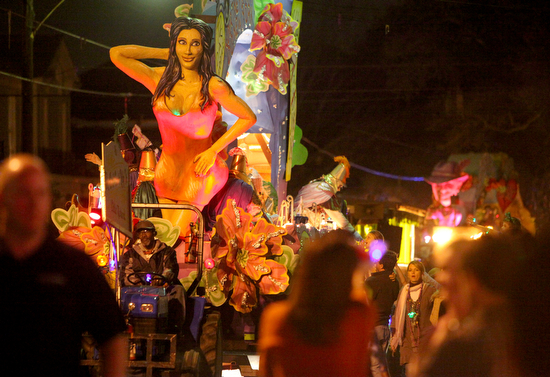 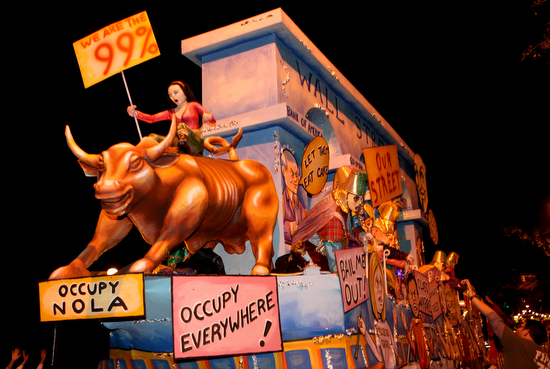 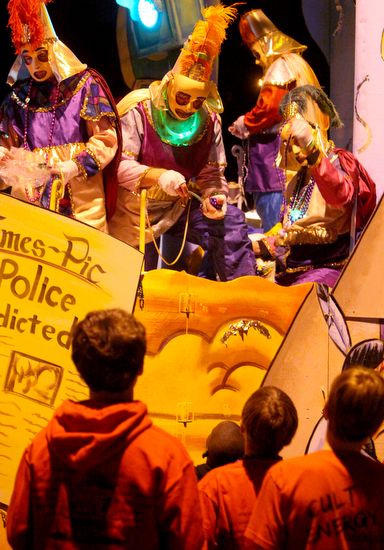 Love the way you sanitized Krewe d’Etat’s “Tell it Like it Is” float. 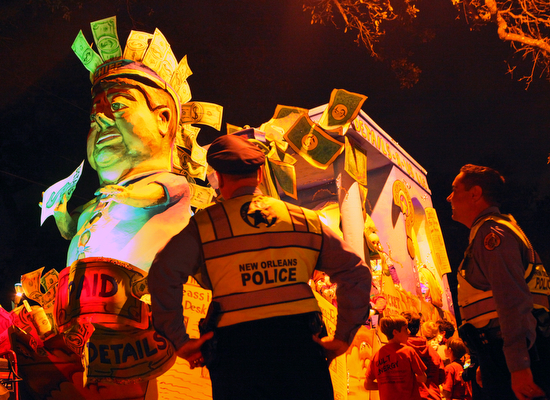 I guess some things are too soon for the fair people of NOLA even six weeks later. 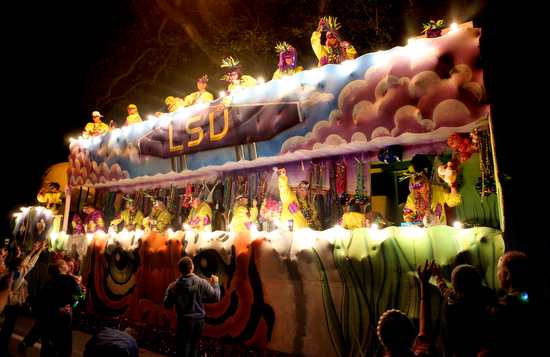 The float about LSU? 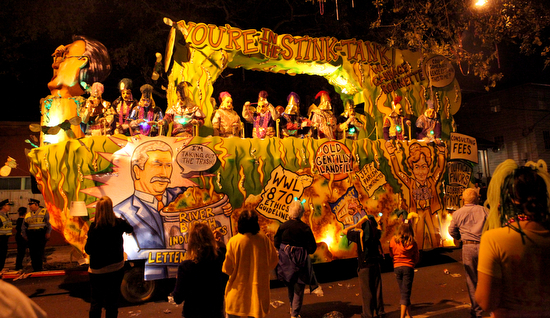 Are you seriously suggesting that we censored commentary about football? 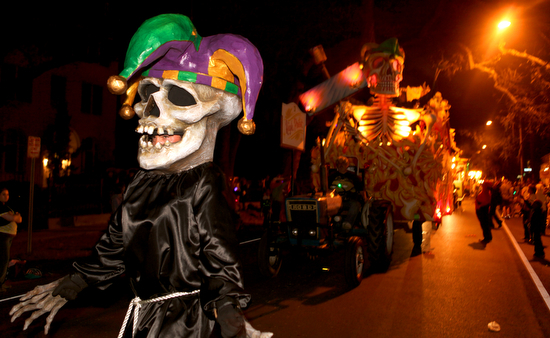 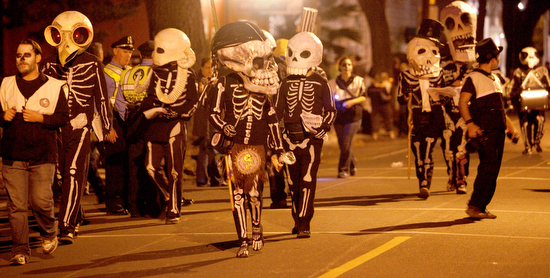 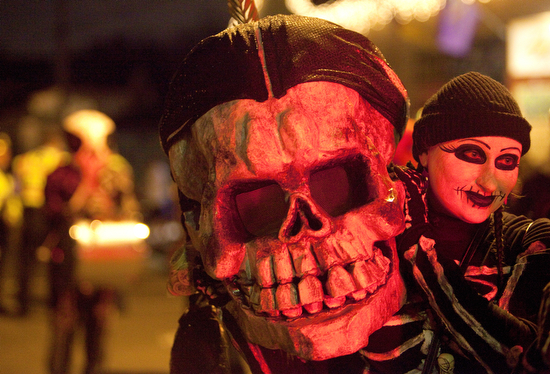 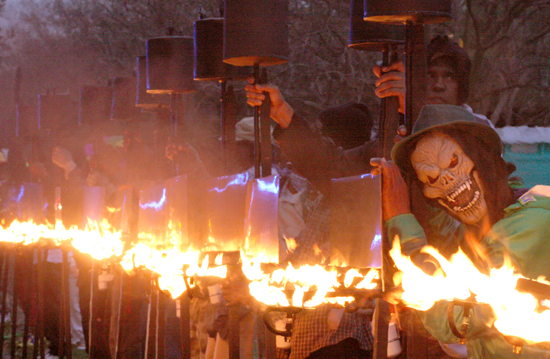 Not “Skeleton Crewe” but “Skeleton Krewe” with a K.